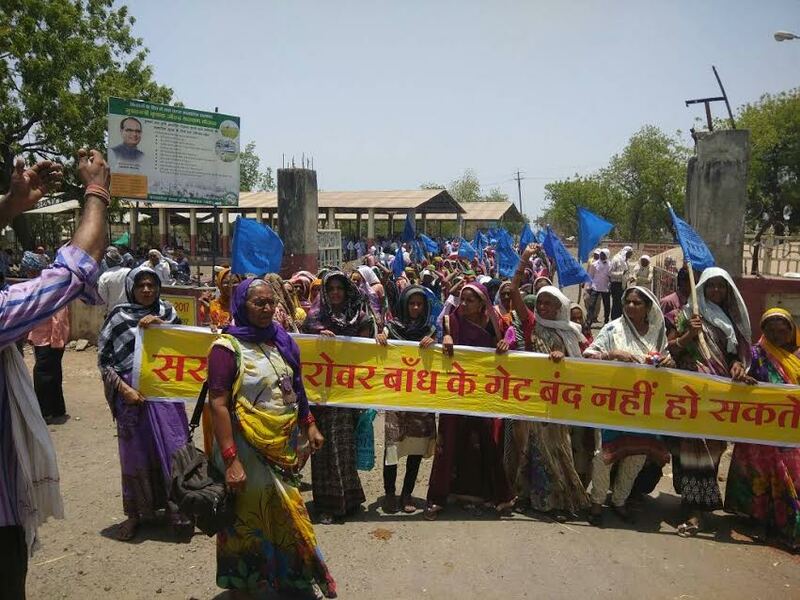 People displaced due to the Narmada Dam in Gujarat, including farmers, labourers, and potters, took out a bullock carts rally on May 25 in Badwani, Madhya Pradesh, joined by fishmen and women, to protest against the absence of rehabilitation sites, on one hand, and massive corruption in compensation offered to the oustees, on the other. 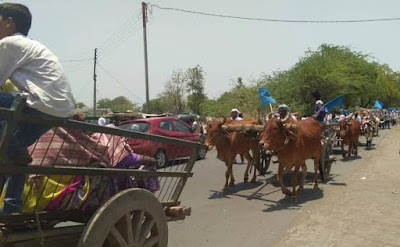 The bullock carts were turned into a stage after three kilometers’ long rally, from where representative of the valley, Bhagirath Dhangar, Pemalbehen, Shyama Sonavarbi Mansuri, others, talked about “false affidavits” submitted by the Madhya Pradesh government to the Supreme Court about rehabilitation of the oustees having been completed. “Is it justified for the government, in the name of sacrifice for development, to use police force to evict the people? Will they destroy our centuries old ancestral villages, temples and mosques? The government doesn't have the capability to rehabilitate, it is only capable to indulge into corrupt practices”, said Mansuri, considered a symbol of women’s power in the valley. Mahesh Patel and Bhagirath Dhangar, representing farmers who have been in this struggle in the last three decades, said that this rally was an expression of determination that people will not move out till all their rights are met. “The intimidation tactics of the government and also their strategy to divide and rule on the party lines, needs to be understood by one and all”, they added. Among those who joined the rally included Kukshi MLA Surendra Singh Baghel and Badwani MLA Ramesh Patel “Why has the chief minister never talked with any of the farmers in the last 13 years?”, they asked.